At FormLoop you can make your custom calculator widget or use one of the existing widgets for your application. The calculator widgets can also be used in mobile applications. We have also added an option where you can turn your spreadsheet into a calculator widget. A calculating web form is the same as a formula calculator widget and is generated and used in the same way. What makes us unique is that you have possibilities to change the content, layout, design and appearance. Then when integrated in your site you can dynamically change the language or set the widget in mobile mode for mobile pages. 1. Go to Create a calculator widget. 2. Choose a formula for your widget. 3. Design your calculator widget. Before you start adding content for your calculator widget we recommend that you create a formloop account and login. 1. Add a formula at: Add Formula, you might need to add some variables. 2. Go to Create a calculator widget. 3. Search for and choose your added formula. 4. Design your calculator widget. You can calculate almost anything and you can have multiple inputs and multiple outputs. There are also predefined functions with conditional logic too. The Equations that you use can be everything from simple equations to complex equations that make your form more look like a product configurator. A html calculator widget will be generated after you have designed your computing widget. When using this site you can create your own free calculating form and then link it into your own web-site in order for you users to calculate. 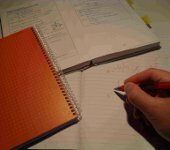 You can then do financial calculations, mechanical calculations, math calculations, construction calculations and much more. Since this site is dynamic you can calculate on anything since its built to handle any segment. We can help you if you miss variables, constants functions or any other vital components. If you want extended possibilities to creating free web forms, such as creating projects where you can assign product variables to the variables in the formula, we advise you to Create an Account, you can also read more about advanced calculators at Advanced Calculator Widget. When starting with this site you will go through different stages, first you start using an existing form and designing it to suit the design of your homepage. But after a while you will probably add your first calculate-formula. Now you come to the download phase which is very simple, just choose Create Widget from the menus and choose the formula that you have created. There you also have the opportunity to design the and test the formula and see it as YOUR user will see it. Then comes the last part where you copy and paste the code into your site. This will give you a free on-line calculating form that is fully dynamic and verified by other users. In the end we hope you enjoy this calculating database and all the possibilities with it. Feel free to contact us anytime. Test our Calculator App Suite for free. 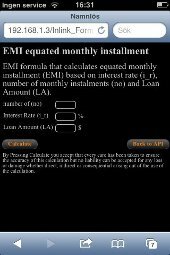 Create Calculation Forms or Calculator Widgets for free with financial, mechanical, physics, mathematics content. Our calculator forms are fully flexible and you can have any design to fit your page or mobile app. Create complex forms with equations or formulas in a minute, use formloop service and reuse and share your findings and knowledge.